Like many small wastewater treatment plants, the Conesus Lake Wastewater Treatment Plant has experienced occasional excursions of its water quality based effluent limits for ammonia nitrogen. In 2003, scientists from EcoLogic provided technical assistance to the Livingston County Water and Sewer Authority in their discussions with the NYS Department of Environmental Conservation (NYSDEC) regarding the permit limits, averaging periods, and the potential effects of anticipated revisions to ambient water quality standards for ammonia. In 2007, EcoLogic helped the Authority comply with a NYSDEC consent order related to violations of the water quality-based effluent limit for ammonia N from the wastewater treatment facility discharging to Conesus Creek, a regulated stream forming the outlet of Conesus Lake. We filed freedom-of-information requests to review the regulatory status of the ambient water quality standard for ammonia in fresh waters, completed a water quality and habitat survey of the creek, and recalculated the compliance status of the facility’s discharge under a range of site-specific ambient water quality standards for ammonia. 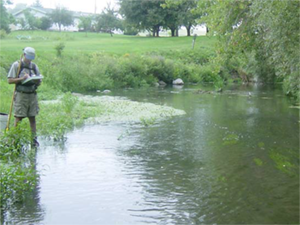 In 2007 and 2013, EcoLogic provided technical assistance to help determine whether Conesus Creek meets its designated use, and the possible impact of the wastewater treatment plant on water quality and aquatic habitat. 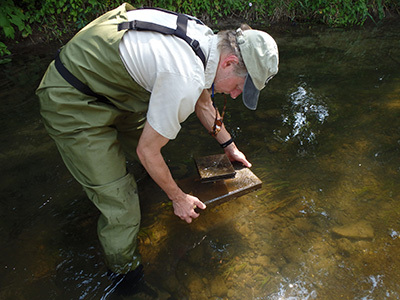 EcoLogic completed the detailed biological and habitat assessment, which included macroinvertebrate sampling and analysis as well as characterizing the composition and distribution of the freshwater mussel community. In addition to the stream assessment, EcoLogic assisted the client with negotiating permit limits and compliance schedules with NYSDEC representatives.